Find yourself facing a ticket for Driving While Intoxicated DWI/DUI or Refusal to Submit to a Breath Test within Ocean County? 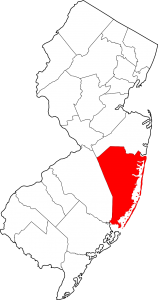 Find yourself facing a ticket for Driving While Intoxicated (DWI), DUI, or Refusal to Submit to a Breath Test within Ocean County? It is highly recommended that you select a lawyer with the DWI defense experience to defend your DWI charge(s). Peter Lederman from the law offices of Davison, Eastman, Muñoz, Lederman & Paone has built his legal practice around DWI / DUI cases. Peter Lederman is both experienced and passionate about defending people with DWI charges in New Jersey. He has been involved in the reform of the Municipal Courts of New Jersey and the laws as they relate to DWI offenses, he conducts presentations about the legal side of DWI to new drivers in high schools (check out the video series) and he teaches attorneys how to best represent defendants in DWI cases.